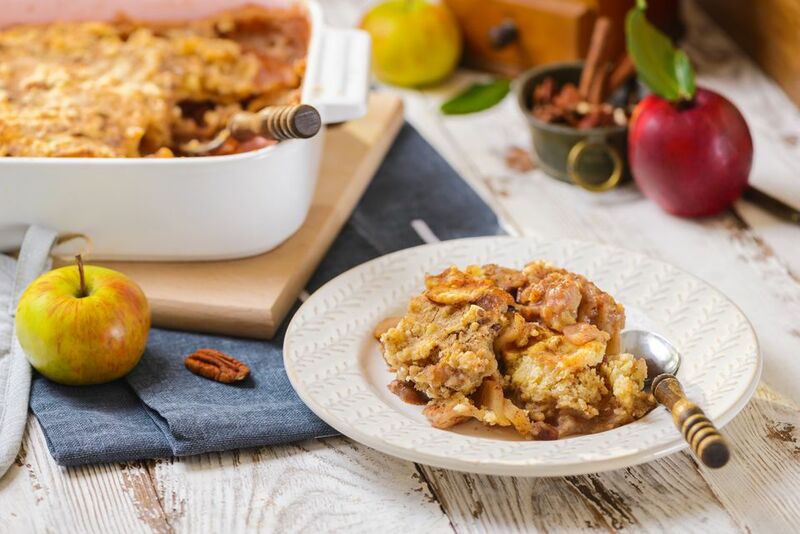 This apple dump cake looks like a cake but tastes like an apple pie. You can never eat too many apples in the fall or any time of year for that matter. Preheat oven to 375 F. Lightly grease a 9 x 13-inch pan. In the pan, mix apples and nuts with 2 teaspoons cinnamon, nutmeg, and sugar. Spread evenly in the pan and cover with apple cider. Sprinkle dry cake mix over apple mixture. Sprinkle with remaining cinnamon. It doesn't taste quite as good, but to make it easier you may substitute 2 cans of pie filling for apples, water, and sugar. Stir in cinnamon and nutmeg. Spread in pan and complete as above.